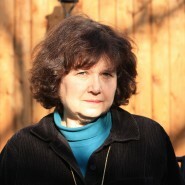 Elizabeth Frank was born in Los Angeles, and educated at secondary schools in London and Geneva. She received her B.A., M.A and Ph.D at the University of California, Berkeley. Since 1982 she has been a member of the literature faculty at Bard College in Annandale-on-Hudson, New York. She is the author of Jackson Pollock (Abbeville Press, 1983), Louise Bogan: A Portrait (Knopf, 1985), which won the Pulitzer Prize in Biography in 1986, Esteban Vicente (Hudson Hills Press, 1995), and Cheat and Charmer (Random House, 2005), a novel set in Hollywood during the McCarthy period. With Deliana Simeonova, she translated two novels by Angel Wagenstein, Farewell Shanghai (2007, Handsel Books of Other Press), and Isaac’s Torah (2008, Other Press). She lives with her daughter in New York City, travels often to Sofia, and is working on a new novel set in Bulgaria between 1999-2004, that is, from the time of the NATO bombing of the former Yugoslavia to the re-election of George W. Bush.